One week ago today, I saw sat on my couch and cried. And cried and cried. I sobbed big hot tears and choked out strings of despairing words to my poor husband. With the start of another school year close at hand, my inner Pollyanna was not feeling so glad. In fact, it had been building up inside me for weeks. And Pollyanna was mad. There we sat, just three days away from the first day of new books, new schedules, a new kindergartener, three older kids, and three little ones too. I was feeling extremely apprehensive about the week ahead. Maybe scared, crazy, worried, and grumpy are more appropriate to describe my outlook that day. Pollyanna was nowhere to be found. I was not glad at all. Not one bit. What was I getting myself into? If Pollyanna was gone, then where was my other inner BFF, that Ann Voskamp-y side of me, who is thankful and sees the precious in so many of our life moments? She was gone too. In fact, when I was crying ugly tears that day, I went as far as telling my husband that I just didn't like homeschooling. Would Ann ever say that? Somebody please tell me she's at least thought it. Never mind, it doesn't matter; because I'm not Ann. Though I do deeply admire the woman and love how her humility walks into a room before she does. Not that I've ever been in the same room as her. There, I'd said it. I just didn't like homeschooling. But did I really mean it? In that moment I thought I did. 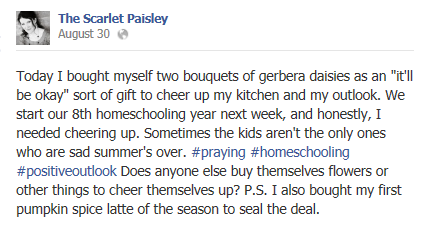 But what I realized not too long after, is that it's not the homeschooling I don't like. 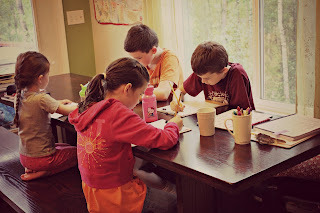 It's the chaos that reigns in the midst of homeschooling if I allow it. 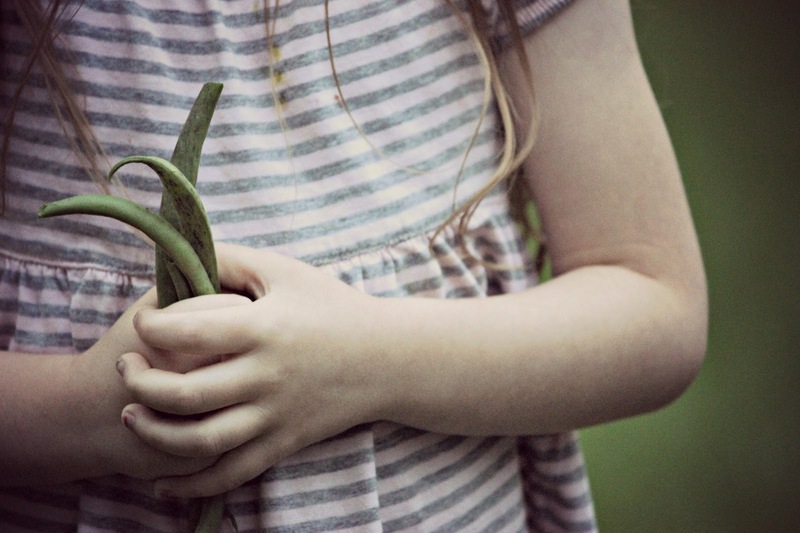 If I'm not proactive and attentive with my little ones, it can all run amuck really quickly. If I'm too busy staring at my laptop screen at inopportune times, I get behind and wonder why this can't be more fun. And include me working on my laptop. But that's like me wondering why being in hard labor can't involve something more fun like shopping for earrings. Crazy, I know. I realized that sometimes you've just got to buckle down and do the work. Sometimes we've got to buckle down and do the work. Those dishes you despise? Do the work. The training and re-training of a strong-willed toddler? Do the work. That marriage that is hard? So stinkin' hard? Do the work. We had a great week. Oh my, we had a great week. I stuck to my guns and the schedule. I did the work. I stuck to my rule about putting the laptop away during school. The baby and preschoolers went with the flow. I even had a fun little schedule for them. And they thrived in it, keeping happily busy and untangled from mama's legs. They were a handful at times (which is to be expected) and there were several frustrating moments. Like the time I was shout-reading a book about Bible translation for the unreached people groups, while Emmy screamed on the floor behind me and the toddlers had their noses stuck to the wall in timeout. Classy, right? Though there were moments of frustration, I didn't let it shake me. I just kept on being me. Moving along, taking care of business. Loving, hugging, encouraging. Doing the work. Even if that meant stopping what I'm doing to talk eye-to-eye with a little one who needs accountability. Even if that means explaining the English assignment again and again to the one who doesn't understand. After the week I was dreading is now 4/5ths of the way through, I can honestly say that I love homeschooling. I love it. Pollyanna is back. So is that Ann Voskamp-y way of thinking. I can't promise you I will always be glad. And I can't promise you things will always seem precious and beautiful to me. But I can promise that if you do the work, you'll have time to play. This post is linked up with other bloggers HERE and HERE. Go take a look! 4 comments on " Confessions of a Pollyanna "
This is, Bethany Davis, your Oregon Cousins, Anna and Ellie Taylor's friend. I enjoyed reading your posts. I know you said Pollyanna left, but I think even she had a downer moment when she said she didn't want to play the Glad Game anymore after she learned about the condition of her legs. 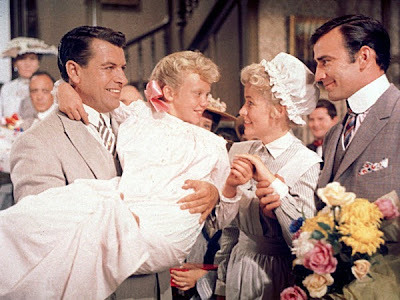 Believe me, I have had my non-Pollyanna moments myself. Not with Homeschooling 4 kids and trying to take care of Preschoolers and a young toddler, but I have had times where I wanted to lay on the floor, pound my fists, and kick my feet. And, I am a Single Person! I am glad you are having a good first week of Homeschooling. Hopefully, the good weeks will outnumber the bad ones this year. 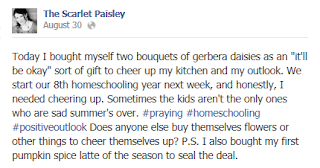 I know you didn't mean what you said when you said you didn't like Homeschooling. Sometimes we say stuff we don't mean in the heat of the moment. Believe me. I have said many things in the heat of the moment that I don't actually mean in reality. Yes! I have bought myself things to cheer me up. There is absolutely nothing wrong with buying flowers and a Pumpkin Spice Latte for yourself. Sometimes one needs little things like that as a Pick-Me-Up. I bet those flowers look beautiful in your kitchen or wherever you have them. Thanks for posting. I better get back to work. I have played long enough myself. The day is young, and I still have stuff to do. Thank you also for the reminder to buckle down and get the work done. I needed that this morning. Yay Amanda! I'm glad God blessed you with a good week! And your encouragement to just do the work is so needed in my life. We have a meaner way of saying that in our family- "Shut up and do it." As in stop complaining and just do it. Of course in this season of life I have a hard time getting anything done! What an inspiring post. I loved reading your words and hearing your authentic commitment to your family. Saying Hi from the weekly wrap up! My husband I were just talking about this today in regards to our spiritual lives and how lack of disciple really wreaks havoc in your walk with the Lord. How we begin so quickly to rely on our own strength and not the grace of God to get us through the moment. "do the work" rings true in my heart tonight too. I read through a few of your posts, enjoyed them! Glad your week ended well. Those are some beautiful children God has blessed you with!